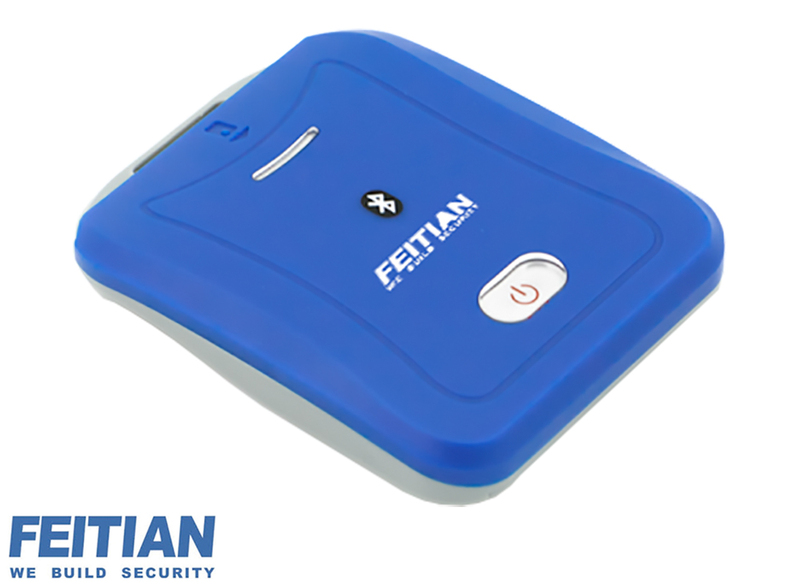 The BR301 from Feitian is a USB contact smartcard reader equipped with a Bluetooth interface that brings smartcard security to any mobile and PC device supporting Bluetooth technology. Designed with convenience in mind, the BR301 is highly suitable for smartcard-controlled mobile applications including ID authentication, e-commerce, e-payment, information security and access control. 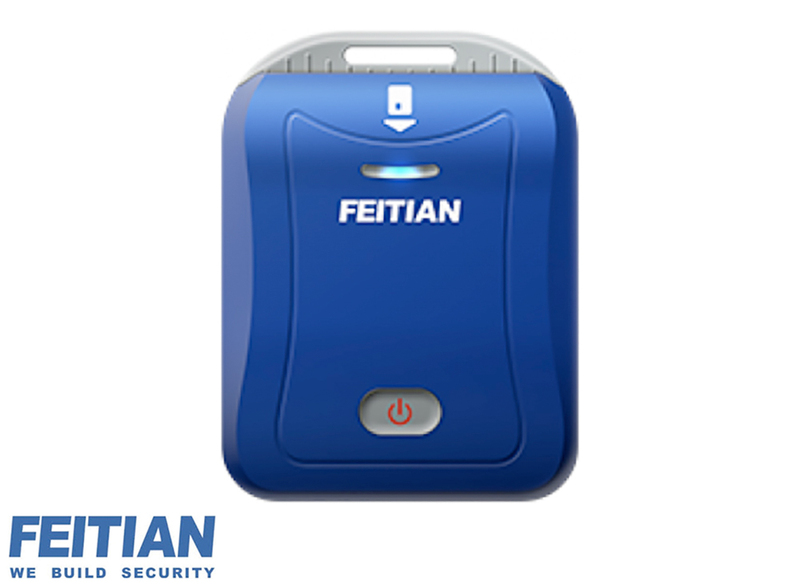 The Feitian BR301 acts as a standard PS/SC smartcard reader through its MicroUSB port, supporting Windows and Linux with a standard CCID driver, whilst the Bluetooth interface enables secure communication with iOS, Windows and Android mobile devices via the free SDK. The reader supports ISO 7816 Class A, B and C cards and comes complete with a 800 mAh battery that can be charged through the MicroUSB port.